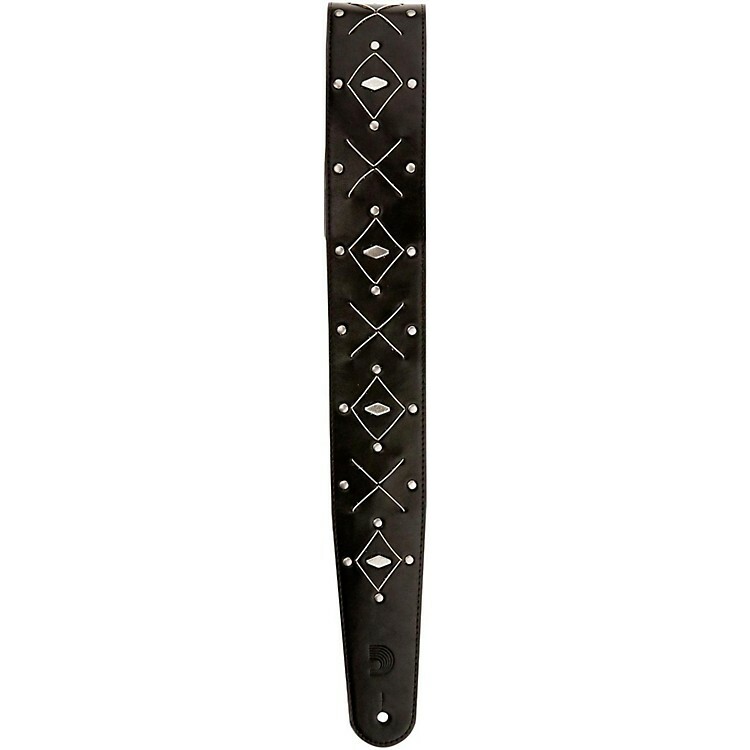 Strings are a work of art and so D'Addario added strings into the metal dcor of this leather guitar strap. The D'Addario leather straps set the standard for leather guitar straps. From basic single-ply styles to two-ply garment leather straps with soft suede backing, this leather strap line exudes class, style, fashion and function. All feature an exclusive tapered contour designed to prevent twisting when used with acoustic guitars. The body of the straps is 4" longer than standard straps, giving you maximum adjustability from 44.5" to 53" long.